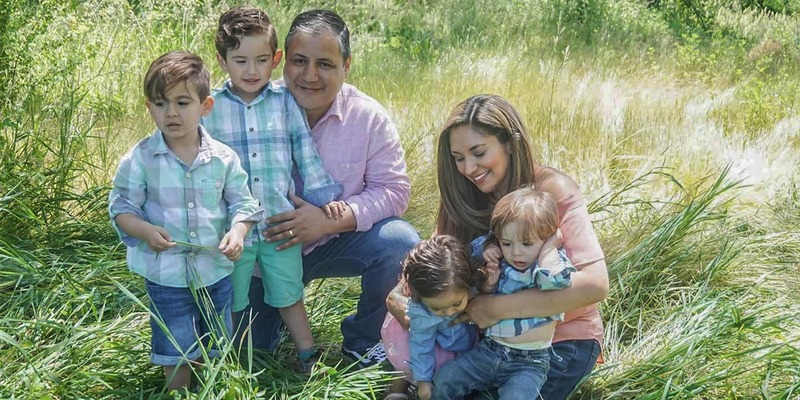 Valdez, 32, is mother to two sets of twins: Aiden and Isaiah, 4, and Augustine and Isabella, 2. “The biggest challenge is that they all have different needs, and one of my sons is autistic and has a sensory disorder as well, so it’s a balancing act to make sure they all get what they need from me,” she said. “Mom guilt” kept Valdez from taking care of herself. A perceived lack of time and energy meant she didn’t prioritize her nutrition, and she let her fitness slide. 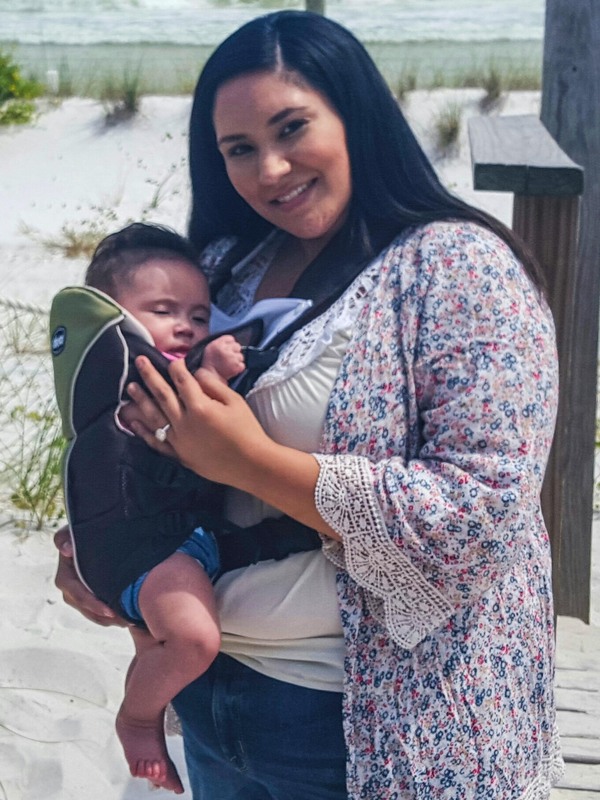 As a result, by the time Augustine and Isabella were born in 2016, she had reached 210 lb. at 5 foot 4. She felt unhealthy and lethargic and suffered from postpartum depression. In July 2016, when her youngest twins were 6 months old, Valdez hit rock bottom. “I went on a family vacation to Florida. … I saw a picture of myself after the vacation and hardly recognized who I was,” she said. She knew it was time to make a change—not just for her own sake, but also for her children. So she went to the doctor, who told Valdez she was obese. After the appointment, Valdez sat in her car and cried. “I realized I wasn’t taking care of myself, and I wasn’t happy with my own health and the way I looked. … I knew if I didn’t do anything about it, my health would continue to deteriorate and I would just get heavier,” she said. Before CrossFit, Julie Valdez weighed 210 lb. at 5 foot 4 and suffered from back pain, fatigue and postpartum depression. Valdez immediately turned to CrossFit 630 in Naperville, Illinois, for help. She began working out four days a week and eating whole, unprocessed foods. Planning and preparing meals in advance was the key to staying on track, Valdez said. Because her husband works late hours and travels for work during the week, Valdez is the primary cook. To entice her picky children to eat healthy foods, she has discovered she needs to be creative and cook with variety. This means finding new ways to sneak vegetables into meals and using healthier ingredients such as coconut or almond flour when she wants to bake a treat for her children. Though Valdez said she now enjoys cooking, like any mother, she also appreciates help—so she finds jobs her kids can do to help prepare meals. “Not only are they learning a life skill, they are learning how to make those healthy choices to nurture their bodies,” she said. 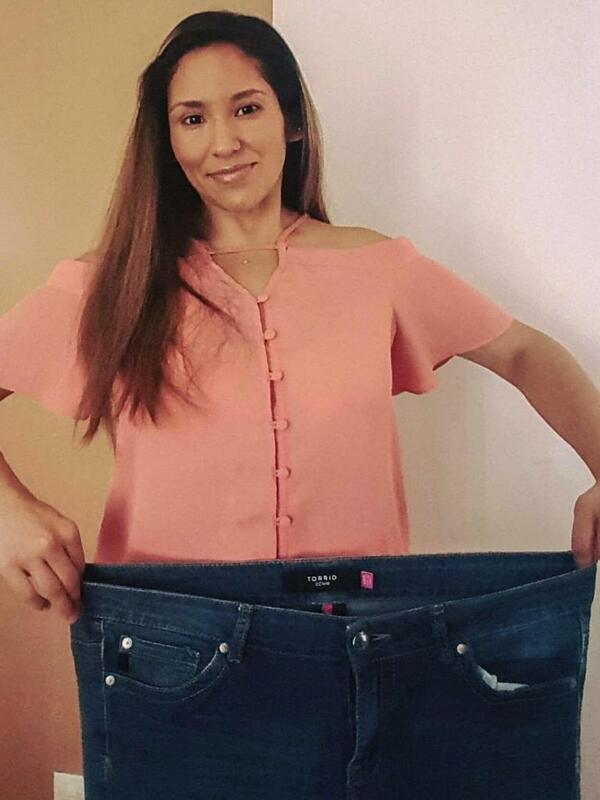 Once Valdez embraced a diet of mostly meats and vegetables, her weight began to drop. “After a pregnancy, it can be hard for any woman to lose that stubborn weight your body seems to want to hang on to, but once I cut out dairy—and then grains and sugar—I started leaning out a lot,” she said. Today, Valdez weighs 130 lb., 80 lb. lighter than her heaviest weight. Her mental health has also improved, which she attributes to attending the 5:30-a.m. class at CrossFit 630 four to five days per week. “I knew if I was going to stick to a gym routine, my only chance to get there would be 5:30 a.m.,” she said. At that time, her husband is still home and her children are usually still asleep, so it’s a rare opportunity for Valdez to escape and do something for herself. Taking just one hour a day to work out with her friends helped pull her out of that mental rut, she said, while her improved fitness enhanced her quality of life. “It’s crazy how just by holding on to extra weight, it really does affect doing the simplest things in your daily life,” said Valdez, whose back used to hurt when she walked upstairs. “Now I can run up and down the stairs without feeling like I ran a marathon, or I can run around with my kids while still having the energy to go to CrossFit. It’s pretty amazing what our bodies can do once we take care of ourselves,” she added. Losing weight also gave her more confidence. Valdez’s coach, Nate Steele, says he uses her transformation story as an example to other clients, who give excuses for why they aren’t prioritizing their health and fitness. “You can’t have a better real-life rebuttal to those people who tell you, ‘I just don’t have the time,’ than Julie. She’s the absolute example that recognizes the importance of doing whatever it takes to concentrate on health. … Two sets of twins all under the age of 4—one with special needs—won’t deter her from spending that hour at the gym,” he said. 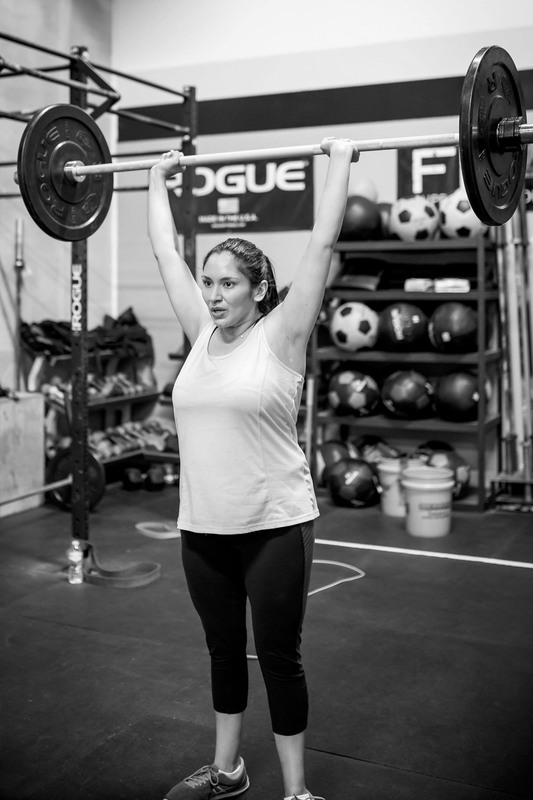 In addition to better health, CrossFit has given Valdez a new outlook on parenthood. “CrossFit has made raising four kids easier by giving me the extra push I needed, as well as giving me an outlet for those stressful days,” Valdez said. 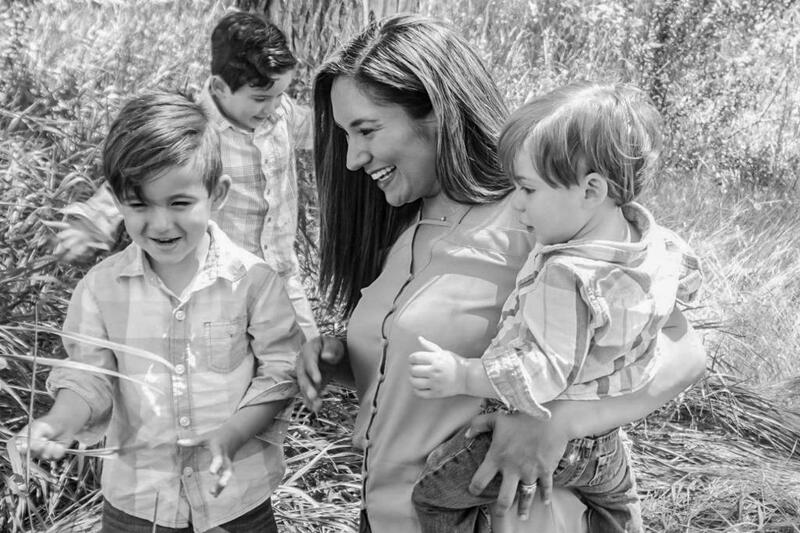 Valdez no longer suffers from “mom guilt,” and she hopes other mothers will learn from her story and lose the guilt, too.